What is a integrated shipping label? It's a invoice/packing slip which has the carrier shipping label embedded in it. This makes it great for when your picking and packing, as you only need to print off 1 A4 sheet and not a separate shipping label. Which shipping integrations does it work with? Currently we support integrated labels for the following shipping integrations: Royal Mail, USPS, UKMail, UPS, DPD, DPD Local, DHL. 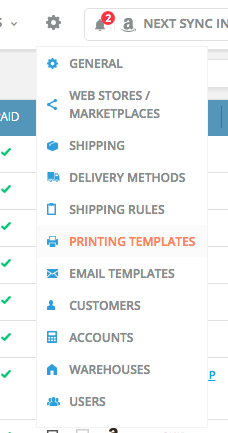 We do plan to add this feature for other shipping integrations in the future too. 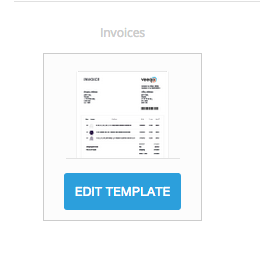 Go to SETTINGS, PRINTING TEMPLATES and select EDIT TEMPLATES on "invoices"
Click container on the left side of the screen and move the container so it is where you want the shipping label to appear on the invoice. Click Image on the left side of the screen and drop the image box within the container. 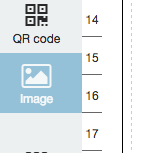 Click on image box and click INSERT DATA FIELD on the right of the screen. 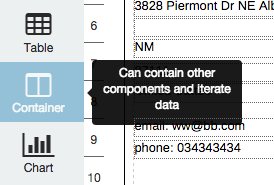 Select shipping labels and then URL from dropdown and then INSERT DATA FIELD. Click save icon at the top of the screen. If you print an invoice before you make the shipment the Invoice will print without the shipping label because no label has been produced yet. 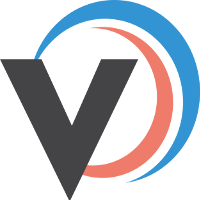 We've been recommended the following website to purchase A4 invoices with shipping label built in.